Singer-guitarist Phil Angotti has a release show tomorrow night for his new CD, Life And Rhymes, at Crow Bar on 106th Street in Chicago. Following a set of his new stuff, Angotti will perform a set of cover versions. Mario Zavala is the opening act. Record collectors in Chicago will have back-to-back weekends to pursue their passion. 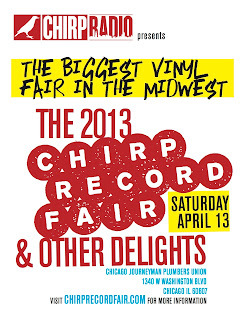 CHIRP Record Fair And Other Delights takes place tomorrow from 10:00 AM to 7:00 PM just west of downtown, at the Chicago Journeymen Plumbers Union. 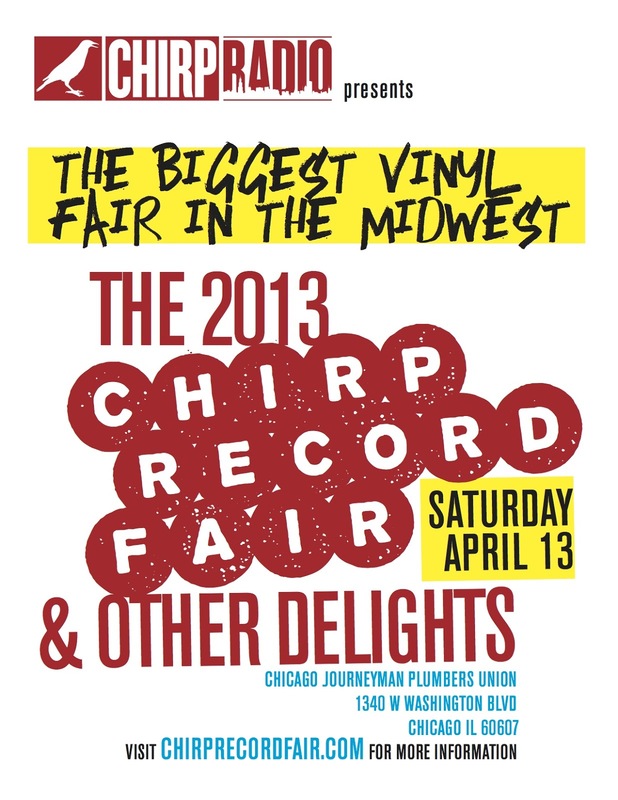 Presented by CHIRP Radio, the event is billed as The Biggest Vinyl Fair In The Midwest. In addition to vendors like Immune records, Minty Fresh, Record Breakers, Second Hand Tunes, and Vinyl Relics, there will be art, posters, and books. Curbside Splendor, a local publisher of literary fiction and art, will also be on hand. There will be food for sale from the Irazu and Handlebar restaurants; beer from Goose Island; and coffee from Dark Matter. The Chicago Journeymen Plumbers Union is located at 1340 W. Washington Blvd. Admission is $7, $5, with a coupon that can be printed out from the CHIRP website. Record Store Day will be honored around the globe next Saturday, and several Chicago retail outlets will be taking part. A treasure chest of limited edition vinyl releases are likely to be snapped up in a hurry, so true fans will have to get up at the crack of dawn or risk losing out. 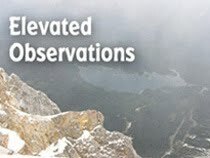 A full list of records can be found on the official website, but it’s also a good idea to check local record stores in advance because some of them will be having live in-store specials and performances. I’m hoping to post more detailed information on Record Store Day sometime next week.